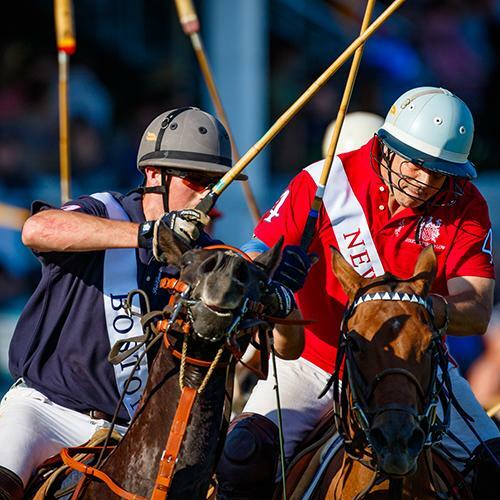 Season 28 of the NBC10 Newport International Polo Series, Presented by BMW will feature Newport vs. Boston on June 22nd, 2019 at 5pm. Match Details and Ticket & Parking options described below. Select & purchase tickets from links above! Modern Luxury Polo Lounge - $75/person on 6/8, 6/22, 6/29, 7/27, 8/24 and 9/21 in 2019, for an all-inclusive polo experience including complimentary gourmet hors oeuvres, specialty cocktail bar with celebrity mixologist, reserved parking and preferred seating. Tables seat 4 or 6 on the Upper Deck. (Corporate Table Sponsorship for promotional benefits is available - please inquire for details: agnes@nptpolo.com).